FRI Recruitment 2019: Forest Research Institute (FRI) is conducting recruitment processes to fill 4 vacancies. As of now, there is one recruitment drive going on for Walk in for JPF & FA Posts. FRI Recruitment 2018 - Walk in for SRF. JPF & Other Posts in FRI, Dehradun, Uttarakhand on Contract Basis. Candidates are invited by Forest Research Institute (FRI) to attend walk-in-interview to be held on 10 Aug 2018 09:00 AM for 5 vacancies. FRI Recruitment 2018 - Walk in for 10 RA, JPF & PA Posts in FRI, Uttarakhand on Contract Basis. Candidates are invited by Forest Research Institute (FRI) to attend walk-in-interview to be held on 04 Jun 2018 and 05 Jul 2018 at 09:00 AM for 10 vacancies. FRI Recruitment 2018 - Job notification for Expert Consultant Posts in FRI, Dehradun, Uttarakhand on Contract Basis. Applications are invited by Forest Research Institute (FRI) on or before 17 Jul 2018 10:00 AM. FRI Recruitment 2018 - Walk in for RA/ SRF/ JRF, PA & RA/ Forest Informatics Posts in FRI. Candidates are invited by Forest Research Institute (FRI) to attend walk-in-interview to be held on 28 Jun 2018 09:00 AM for 4 vacancies. FRI Recruitment 2018 - Walk in for JPF & PA Posts in FRI, Dehradun, Uttarakhand on Contract Basis. Candidates are invited by Forest Research Institute (FRI) to attend walk-in-interview to be held on 12 Jun 2018 09:00 AM for 6 vacancies. FRI Recruitment 2018 - Apply Online for 98 MTS, LDC, Driver, Technician, Technical Assistant, Store Keeper, Driver Ordinary Grade Posts in FRI, Uttarakhand. Online Applications are invited by Forest Research Institute (FRI) from 01 Apr 2018 to 21 Apr 2018 till 11:59 PM for 98 vacancies. FRI Recruitment 2018 - Apply Online for 98 posts for Multi Tasking Staff, Forest Guard, Driver, Technician, Technical Assistant (Maintenance) & Other Posts in FRI, Dehradun. Online Applications are invited by Forest Research Institute (FRI) from 01 Apr 2018 to 21 Apr 2018 for 98 vacancies. ICFRE FRI Dehradun JRF, Project Assistant Recruitment 2017 - Job notification for Walk in for JRF, Project Assistant Posts in Dehradun, Uttarakhand. Candidates are invited by The Forest Research Institute (FRI - ICFRE) on 25 Oct 2017 at 10:00 am for Interview. ICFRE FRI Dehradun Recruitment 2017 - Latest job notification for Walk in for 6 JRF Posts in Dehradun on Contract Basis. 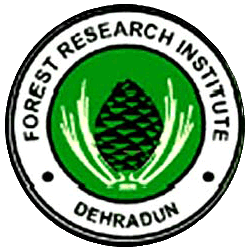 Applications are invited by The Forest Research Institute (FRI - ICFRE) on or before 05 Sep 2017 for 6 vacancies.